As many of you know, the Google Keyword Tool has been sunset and in some accounts has already been replaced by the Keyword Planner. Google’s launch of the Keyword Planner brings the functionality of the veteran Keyword Tool, combined with data from the Traffic Estimator. Clearly there’s more focus on the needs of AdWords customers, and whilst it’s not perfect, it will no doubt evolve as customer needs grow. To ease the transition between the original Keyword Tool and the Keyword Planner,we’ve listed 5 changes Google has made. With the Keyword Tool, Google published broad match data by default (something I personally disliked). 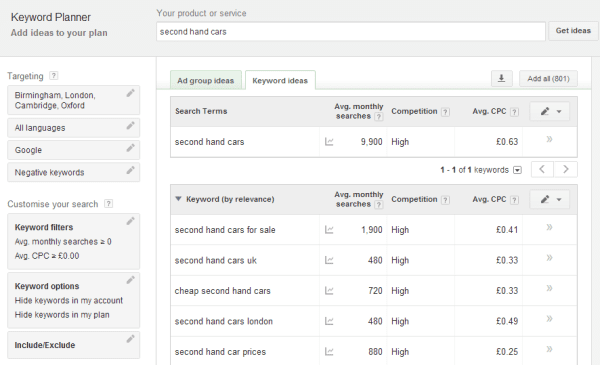 The Keyword Planner on the other hand only publishes exact match search volumes. If you want data for other match types you will have to create a plan. 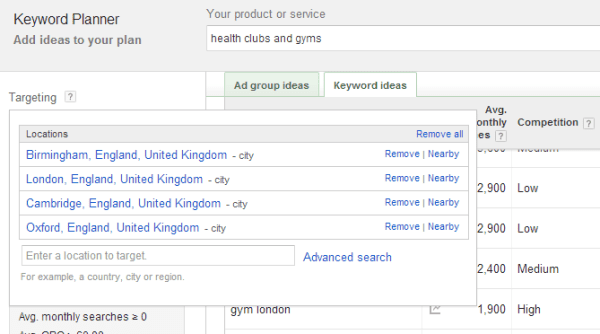 In the Keyword Planner, the average search volume data will appear higher when compared with the Keyword Tool. The reason for this is that the Keyword Planner publishes search volumes for desktops, laptops, tablets and mobiles combined, whereas the Keyword Tool showed separate averages for desktops versus mobile devices. Google’s motive for combining desktop, tablet and mobile data ties in with its new enhanced campaigns, which has better functionality for controlling bids and ads across devices. Now you can target by city, region or country rather than just country, which is a real bonus for local businesses and local SEO and PPC research. You can also see global search volumes by targeting all locations. For this reason Google has removed the global and local search volume columns in favour of a single average monthly searches column that displays data based on your targeting settings. A neat feature of the Keyword Planner is the ability to see monthly search trends over the last 12 months. Roll your mouse over the graph icon to the right of each keyword and you will see a graph depicting monthly search trends. Whilst similar data is available in Google Insights, having this functionality in one tool improves UX. 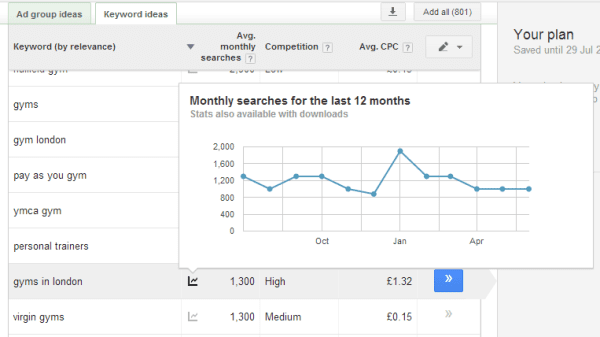 Unlike the Keyword Tool, the Keyword Planner displays CPC data by default. And Google claims that this data is more accurate as compared with the 'approximate CPC' data in the Keyword Tool. If you have suggestions on new features, we’d love to hear your thoughts. I personally would like to see numerical data published in the competition column (as currently this is only available when downloading historical data). This would be significantly more useful than simply displaying words such as 'low' or 'high'. Thanks to Jonathan Saipe for sharing their advice and opinions in this post. Jonathan Saipe a Founder of digital marketing training provider Emarketeers You can follow him/her on Twitter or connect on LinkedIn. This post was originally written by Jonathan for the Emarketeers blog and we thought it was well worth sharing - so we have republished it here. What will voice search do to the landscape of digital marketing? The internet has carved out its place in society as one of the most important things in day to day life. You could argue that it is the most ….. Examples and best practice advice on how to maximise your digital marketing reach with an integrated PPC and SEO approach. When it comes to digital marketing, pay per click (PPC) advertising and search engine optimisation (SEO) are arguably two sides …..